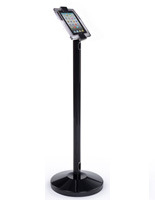 These curved iPad stands have an adjustable enclosure that rotates, tiltes and hides or shows the home button. 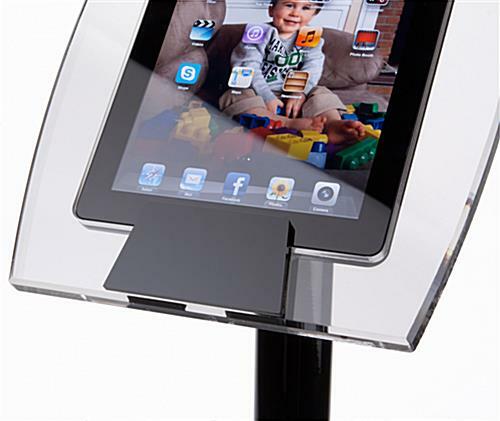 The tablet holders are made of steel and acrylic with a black finish. 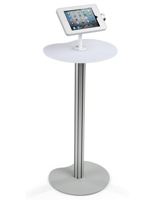 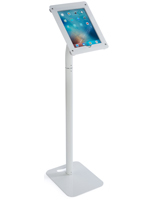 The iPad stands give access to the Apple® tablet's charging ports to keep it powered while on display. 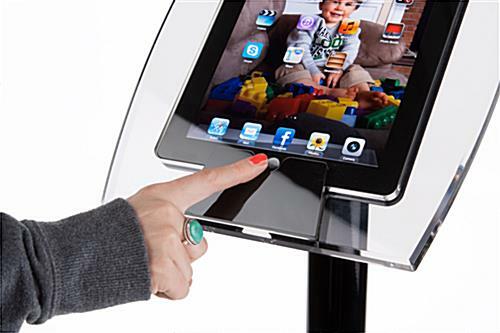 Each of the adjustable displays has a neutral black finish that complements any environment. 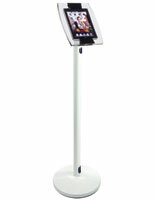 The acrylic stands can display tablets in a portrait or landscape orientation to accommodate any app. 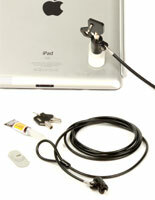 The holders fits Apple® devices from the 2nd, 3rd and 4th generations. 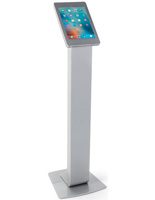 14.0" x 40.3" x 20.0"